For Australian government the major and central source of revenue generation is their Tax system (Australian tax system). Every individual need to pay the taxes over their earned income whether he is running their own business or doing some job. Individual running their own business pay the taxes over their earned profits and on the other hand individuals working for others pay taxes over their income. Australian taxation office is responsible authority to collect the tax from their residents (Abraham, et. al., 2015). It is not easy to understand and identify the Australian tax system because it is not based on equality bit it get affected with the effects of administration. 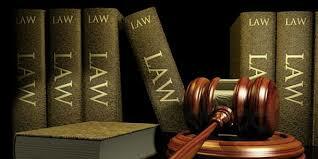 During dealing with the Australian taxation system individual face certain obstacles. In the below report there will be effective discussion made over the tax system and its transfer system. Australian transfer system having lot many policy objectives that become barriers in the effective execution of their operations and they not able to attain their set goals and objectives in effective manner. In order to make their tax process and procedures simple and easier they need to rationalise their tax and transfer system and it will also bring economic development in Australia (Whiteford, 2010). What are some of these multiple policy objects the Australian tax and transfer system tries to achieve? 1. Austrians choose to live in particular type of society. 2. Australian economy get influenced with the world's economic activities. 3. The relationship of Australia get altered with the different countries around the world due to the growing concept of Globalisation. 4. Producer of forming policies and administrative matters. The Australians tax and transfer system helps in forming schemes related to infrastructure. Society is the element that helps in developing their infrastructure as nation make their contribution by paying taxes over earned income. Australia is considered best place for work and living and shows good rate of GDP at the end of 2020 summit. There are effective changes get realised among the people's living standards with the change in their tax and transfer system as it also helps in bringing economic development in Australia. But there are lot many residents that are not satisfied with the current tax and transfer system and they share their view that their system is not adequate and effective enough in order to develop their infrastructure or society. Their businessmen stated that they are overburdened by the tax responsibilities as their government charges huge taxes from them. They recommended to make effective reduction in their tax rates (Ikin & Tran, 2013). Australian government effectively encourage the activities related to the investments and allow their residents to make contribution in investment decisions and others also. It is observed that there is rise in the economies of the developing nations and they make effective contribution in their GDP. Australia need to grab this opportunity and need to build effective healthy relation with these nations that also help them in growing. With the effect of the Globalisation there is effective increase in the competition level and it also influences the tax and transfer system. With the effect of it there is effective reduction is noted down in the tax rate over capital income results into smooth flowing of revenues within the countries and results into capital exchange and high level maintenance of capital by different countries (Ikin & Tran, 2013). There is effective growth is noted down at the global level as well as in Australian environment. There are some submissions are made in order to start such schemes by their tax and transfer system in order to make reduction in carbon emission as it harm their environment. Their residents need to take care of their environment and government collect the taxes in order to make adequate level of development in their environment. With the use of their tax money they create lot many policies and schemes related to their environment (Whiteford, 2010). It is observed that there is drastic demographic change in Australia. There is effective increase in the number of ages people and on the basis of it get analysed that by 2047 Australia's one fourth population having age more than 65 years and it will be the double of as of now population. This situation create huge challenge for them and in order to compete with this situation their workforce need to perform exceptionally so that they make adequate contribution in the nation's productivity. In order to enhance the workforce participation and deal with challenges Australian government need to simply their tax and transfer system and encourage their population to perform in effective manner (Whiteford, 2010). With the effect of the huge operating costs as well as numerous taxes make the Australian tax and transfer system complex and it is not easy to understand the whole tax system by their individuals. Along with this there is no such effective coordination among their jurisdictions that results in conflicts. Their administration system is not much powerful for the purpose of handling it (Abraham, et. al., 2015). Australian government need to put focus over it in order to make their tax and transfer system easy and simple so that everyone can understand it easily and remove conflict situation as well as confusion (Abraham, et. al., 2015). How does the system overreach and is hence overburdened currently? There are effective changes are noted down in the last decade and these changes made effective economic changes in countries. There is rapid change is observed in Australia's economy. 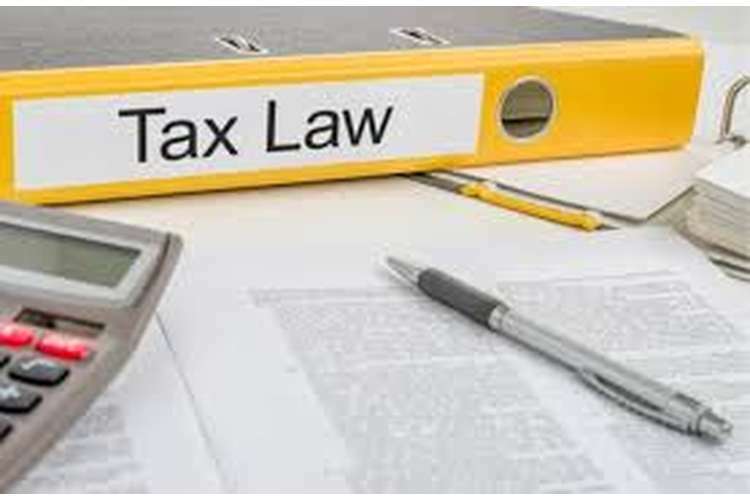 It is observed that Australian's tax and law system having length of 1080 pages in the year 1950 and in order to fill up the exiting gaps their government make effective amendments in it and it results into more complex tax system. Now-a-days there tax system having a length of around 14,000 pages because it make inclusion of discussion over different situations. The whole tax system become more complex as it make inclusion of discussion over different situation of tax payers. This complex tax system results into increase in maintenance cost of their law as well as it is an time consuming process. This create unnecessary burden over small business units (Memon, 2012). In the year 2012-13 the average maintenance cost of tax files was $350 and around 12.8 million citizens files personal tax returns that results into total cost of tax returns equal to the $3 million. Tax agents are required for the purpose of filing return as there are 5.4 million residents because for individuals it is not possible to understand and file the tax return by their own due to the complex procedure. A report is published by the PWC in which it is stated that Australia hold 39th rank on the basis of their simple tax system in front of the whole world. It is very necessary for Australian government to make their system easy and simple so that they save cost as well as time to manage properly along with this it doesn't create any burden over their citizens and helps in making effective contribution in their economic development. Good and easy tax system results into encouraging innovation in their country (Memon, 2012). The tax system of Australia is weak and there are various issues in it that need to be solved. It make the citizens overburdened by imposing different types of taxes and it also didn't handled properly. There is discrepancy among revenue generation of multinational companies that create barriers in their economic development (Dole, 2015). How do you propose to rationalise the tax and transfer system of Australia to overcome these shortcomings? Governmental tax policies affect the country's economic system. For nation tax is the effective source for the purpose of generating income and increase the level of GDP. There is effective improvement is made in national income with the help of their efficient tax and revenue system. It is important for nation to make their tax system fair and transparent as it helps in improving nation's image. It is not easy to understand the nation's tax system (Balachandran, et. al., 2013). In order to overcome from the tax system shortcoming it is necessary to reduce the complex guidelines and regulations. It is necessary to make their citizens understand about their tax policies so that they react in effective manner. Complex tax policies put effective impact over the national economy. There is effective requirement of removing the unnecessary or irrelevant regulations or guidelines from the law so that it become more competent according to the current scenario of their nation (Balachandran, et. al., 2013). Australia's tax system is effective and efficient enough as it promote the equality as well as transparency within their guidelines so that it become easy and understandable. With the use of it they motivate individuals in order to increase their participation in increasing the share of national income. With the effect of it there is effective increase in the saving ratios and along with this there is increase in the ratio of capital investment. They become able to sustain economic growth and they didn't neglect the fairness and equality factors (Coleman, et. al., 2013). 1. Presence of multiple tax system in Australia regulation increase the ratio of complexity. so it is important to create rationalisation in their tax system. 2. Irrelevant tax imposing should be removed and they need to focus over imposing tax on genuine sources only. Genuine sources make inclusion of income from business, house property income, salary, capital gain and other sources income. 3. Need to impose high tax rate over the income generate from gambling and other activities (Edgar & Aghdaei, 2013). 4. need to impose tax over the income generated with the sale of insurance, stamps taxes over the vehicle purchase, income from property transfer and other incomes sources. 5. Government put their emphasis over nations long term growth and their future depends over their strong economic system. They need to make their tax and transfer system easy and transparent that helps in creating investment opportunities for their residents and with this effect their workforce make active participation in their development (Edgar & Aghdaei, 2013). They need to improve their tax structure and regulations so that it didn't harm the tax payers. They need to lower down their tax rates for small businesses and low salaries peoples as they face difficulties in survivals. With the change in environment they need to make effective changes in their tax system. They need to set their tax rates by considering low income group as well as high income group. They need to enhance their tax system that helps in creating investment opportunities and results into raise in nation's economy. They need to make their tax system clear and transparent so that their tax payers effectively understand the policies and make effective tax payments (Bray, 2015). Australian government impose GST that helps in making their tax system easy and understandable and it make removal of various unnecessary taxes imposed by them. It make removal of complex tax system from the Australia and helps in creating easy tax system. It also helps in building effective level of coordination while preparing tax systems and with this effect their economic growth didn't get hampered as the complex tax system of Australia get removed (Bray, 2015). In the end it get concluded that the tax and transfer system of Australia is bit complex and it affect the economic growth of Australia. With the increase in the tax rates there is adverse impact put over the investment opportunities. It is clearly analysed that high rate of taxes hampers the investment and the tax structure adversely affect the Australia's future growth possibilities. For Australian government tax collection is the main income source and with this effect it much be simple, easy and clear. When their tax and transfer system become more clear and transparent then it effectively results into increase in their revenue generation ratio. Australian government need to amend their tax policies and make them easier so that tax payers effectively pay taxes because the existing tax and transfer system is not easy to understand due to which their tax payers face difficulty in paying taxes and create conflict situation. It is not easy for Australian Government to make effective changes in it but it is necessary in order to attain the economic growth and make development in their country. As per the tax payers their system is over burdened and it requires to be more simple and easy so that everyone pay taxes in effective manner. Their present GST system make effective contribution. Australian government need to take care of their tax payers as they need to make their system easy along with this they need to put their goals effectively. Abraham, M., Dempsey, M. & Marsden, A. 2015, "Dividend reinvestment plans: A tax-based incentive under the Australian imputation tax system", Australian Tax Forum,vol. 30, no. 2, pp. 435-453. Balachandran, B., Hanlon, D. & Tu, H. 2013, "Tax-induced earnings management within a dividend imputation system",Australian Tax Forum, vol. 28, no. 3, pp. 555-582. Bray, J. 2015, "100 years of the minimum wage and the Australian tax and transfer system: What has happened, what have we learnt and what are the challenges? ",Australian Tax Forum, vol. 30, no. 4, pp. 819-844. Coleman, C., Hart, G.E., Bondfield, B., McKerchar, M.A., McLaren, J., Sadiq, K. & Ting, A. 2013, Australian tax analysis: cases, commentary, commercial applications and questions, 9th edn, Thomson Reuters (Professional) Australia Limited, Pyrmont, N.S.W. Dole, N. 2015, Australian tax system 'resembles 1950s', new head of the Australian Public Service says: Australian living standards are slipping, the tax system resembles the 1950s and an "adult" debate over tax reform is needed, Australia's next top public servant says, Australian Broadcasting Corporation, Sydney. Edgar, T. & Aghdaei, A. 2013, "Using the income tax system as your hedge counterparty", Australian Tax Forum,vol. 28, no. 2, pp. 317-375. Hodgson, H. 2011, "Unscrambling the egg: Reform pathways in the tax transfer system", Australian Tax Forum, vol. 26, no. 2, pp. 257-286. Ikin, C. & Tran, A. 2013, "Corporate tax strategy in the Australian dividend imputation system", Australian Tax Forum, vol. 28, no. 3, pp. 523-553. Memon, N. 2012, "Looking for suitable presumptive income tax design for large informal economies in terms of principles of a good tax system", Australian Tax Forum, vol. 27, no. 4, pp. 907-939. Whiteford, P. 2010, "The Australian Tax?Transfer System: Architecture and Outcomes", Economic Record,vol. 86, no. 275, pp. 528-544.